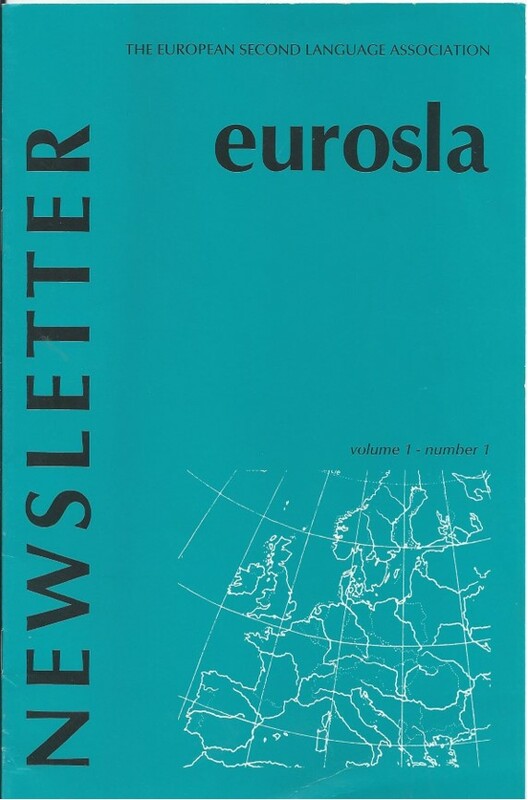 Between 2000 and 2013, the EuroSLA membership newsletter The Clarion was published annually. 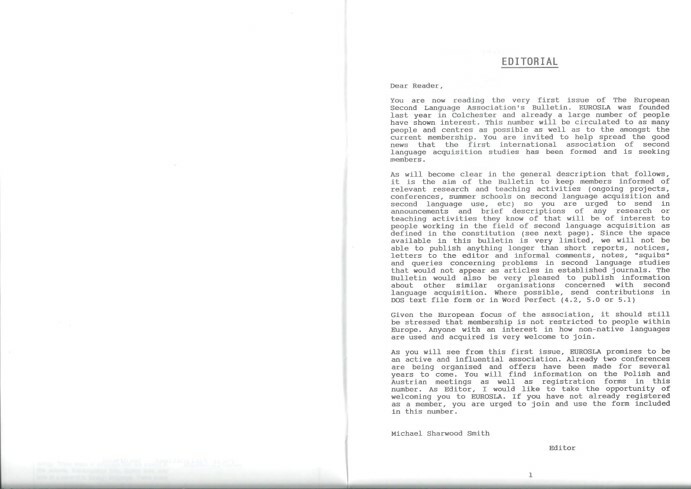 From 2004, it was available as an electronic newsletter. The first editor of The Clarion (2000-2010) was David Singleton, from 2010 to 2013, it was edited by Christina Lindqvist. The Clarion has now been discontinued. EuroSLA bulletin 1-1. This is an interesting historical document, edited by Mike Sharwood Smith. 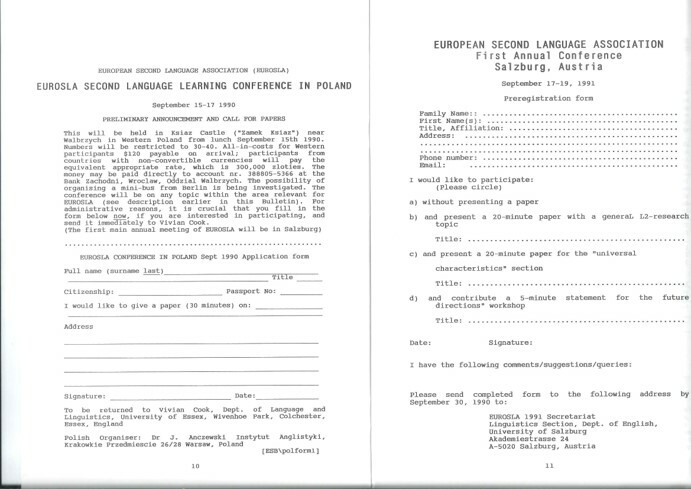 It contains (apart from commercial material by Foris, Dordrecht who produced it) the first editorial, a copy of the constitution, an article by Paul Meara and calls for 2 EUROSLA meetings. Interestingly what would have been EUROSLA 1 scheduled to take place in a Polish castle fell through which is why the one in Salzburg had the honour of hosting the very first conference! (not counting the founding meeting in Colchester which wasn’t really a EUROSLA conference).